The H4 E Ethernet probe is also equipped with a display, showing the current measurement data, battery status and limit value violations. The Ethernet probe has a data memory for 6,000 readings per channel. 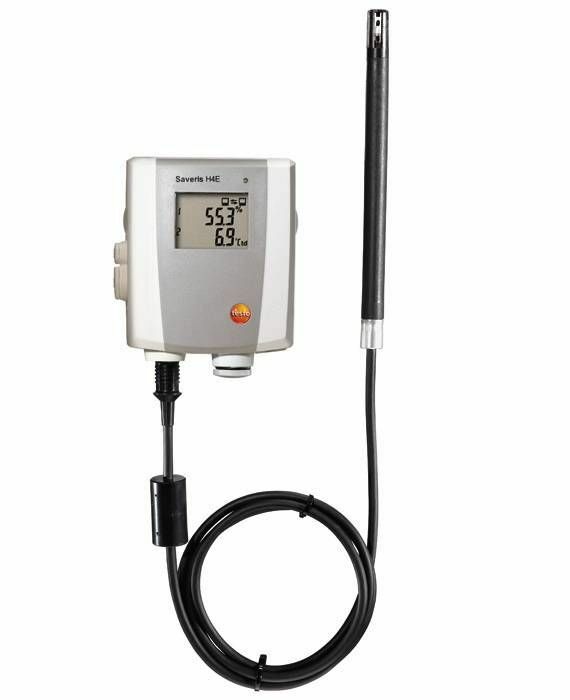 testo Saveris H4 E Ethernet probe with external humidity/temperature probe connection and display.